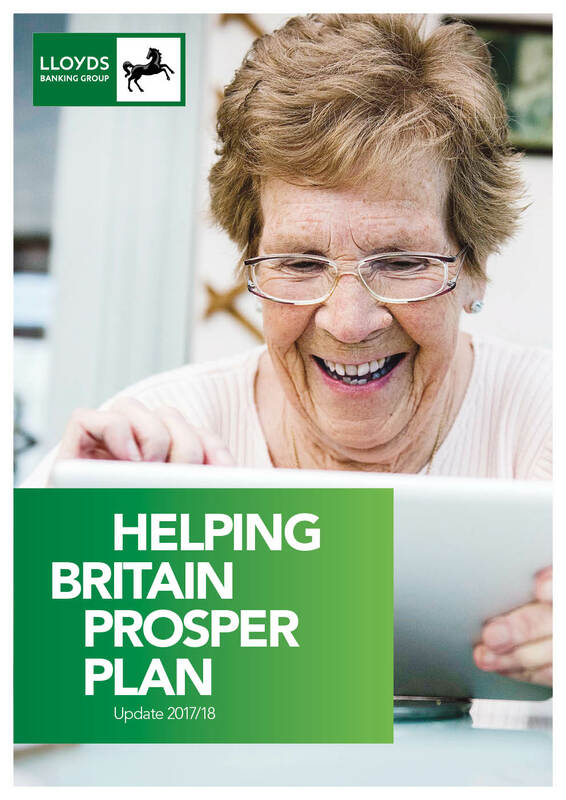 Lloyds Banking Group has published its latest Helping Britain Prosper Plan Update. The Plan is the Group’s response to help address the social and economic issues that matter to Britain. We believe no other bank is better placed to do this – we serve approximately 27 million customers, more than 1 million businesses and are the UK’s biggest digital bank. We can use our scale and reach to go beyond business as usual and address issues such as the housing shortage, sustainable business growth, social disadvantage and saving for the future. The Prosper Plan Update, together with an overview of our approach to doing business responsibly in the Annual Report and Accounts, and further online Responsible Business content provides a detailed picture of the Group’s approach. For 2018 the Group has prioritised six areas where it feels it can make the biggest difference. The targets stretch to 2020, in line with the next phase of the Group’s strategic plan, and they support the UN Sustainable Development Goals. The Helping Britain Prosper Plan was launched in 2014 and is reviewed annually to ensure it keeps pace with a fast-changing Britain and changes in the Group. It supports our strategy to be the best bank for customers, colleagues, communities and shareholders and demonstrates publically how we are delivering our purpose to help Britain prosper. The 2018 Plan also includes a new target to help provide power for 5 million homes by 2020, through our support for renewable energy projects in the UK. This reflects the Group’s commitment to helping the transition to the low carbon economy.